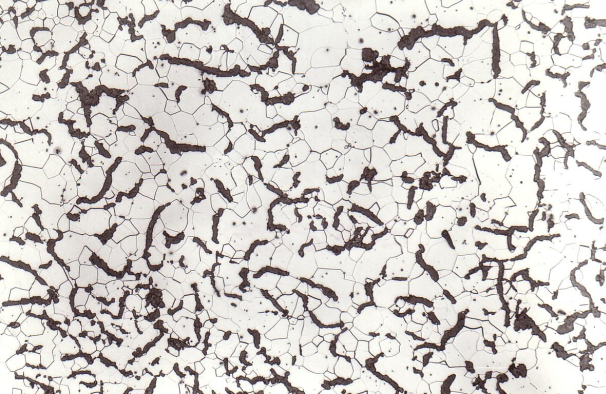 Graphite form between the form of flake graphite and the form of nodular graphite (see figures 1 and 2). 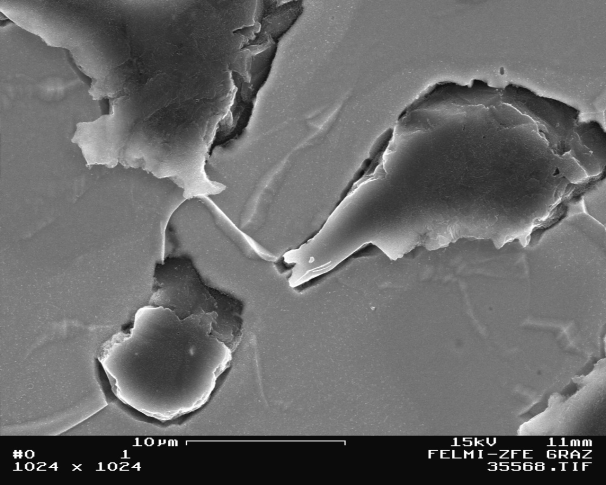 These graphite particles are longitudinal and display irregular orientation similar to flake graphite cast iron; however, GJV particles are shorter, have greater diameters and rounded ends. 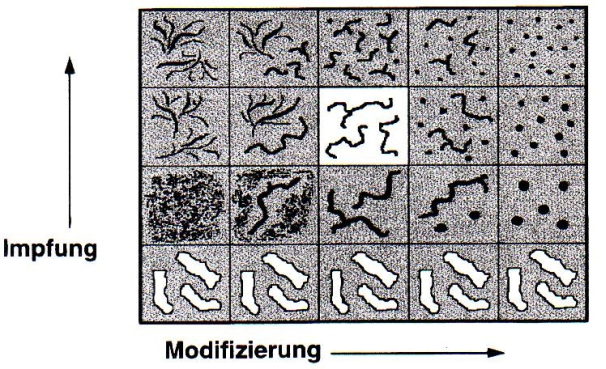 While the compact graphite particles look like worms on the two-dimensional illustration, the pictures of deep-etched structures in the scanning electron microscope (figure 3) show that each “worm” within the eutectic grain is connected with its neighbors. The complex coralline graphite design together with the rounded ends and the irregular crooked surface structure of the graphite particles results in improved bonding between graphite and metal matrix which prevents crack initiation and crackgrowth which in turn ensures to better mechanical properties. 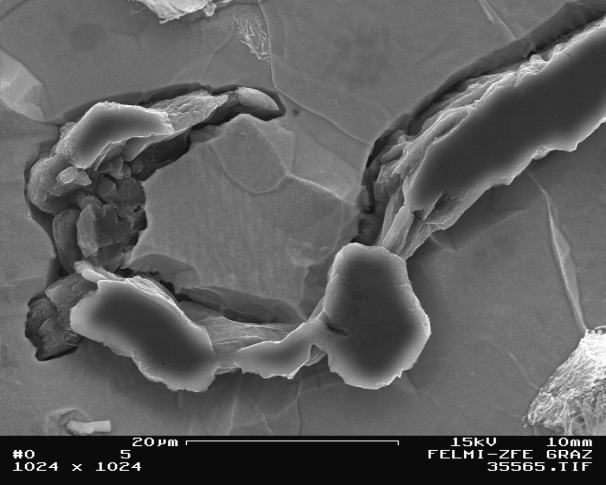 The precipitation of vermicular graphite is not desired if it has been formed during the production of nodular graphite cast iron (GJS) due to insufficient magnesium treatment or by subsiding treatment effects (excessive killing). On the other hand, the specific production of vermicular graphite cast iron (GJV) is also possible. With regard to its properties, this material can be classified between high-strength flake graphite cast iron (GJL) and nodular graphite cast iron. According to B. Lux, the graphite is encased by an austenite layer during eutectic crystallization, however remains in contact with the melt via thin channels (figure 4). Therefore, growth in length is faster than growth in girth. However, graphite does not preferably grow in a-direction, as in normal flakes, but analogously to the nodes in c-direction. Therefore, the advance of vermicular graphite is slower than that of flake graphite; and in the course of growth, austenite outruns graphite. The result is vermicular rounding due to austenite overgrowing graphite particles.